The site is designed to provide an on line storage facility for your building related information. Using a simple interface users can create, upload, store and share data. 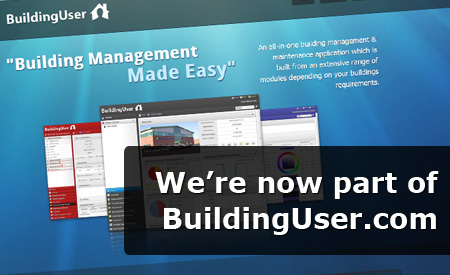 Designed to construction industry standards in compliance with Building Regulations legislation, the information can be used by both building professionals and end users alike. 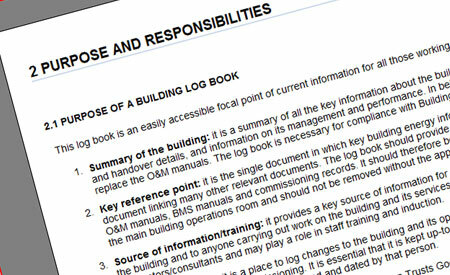 The on line Building Log Book provides a central storage and reference document for your building related data. A dedicated energy metering and monitoring section enables both manual and automatic metering data to be collected and analysed. Extensive help menus provide examples which can be copied and edited as required. The system enables users to directly enter data and well as upload documents, drawings and images. Information can be shared between all levels of building users from staff who simply need to access basic operational information through to engineers who require more detailed information. Simple Online Editor - Edit & upload any section with ease. The Building Regulations require building log books! The log book should be reviewed annually as part of the organisations quality assurance system and an entry should be made for each review.